Perfect alliance between the sweetness of the oil and the smoothness of the balm, the Nourishing man-go wrap & balm combines moisturizing*, suppleness and skin tonicity. The sweet and fine fragrance takes you on an exotically-coloured journey. The mango, fruit naturally rich, nourishes the skin and hair. 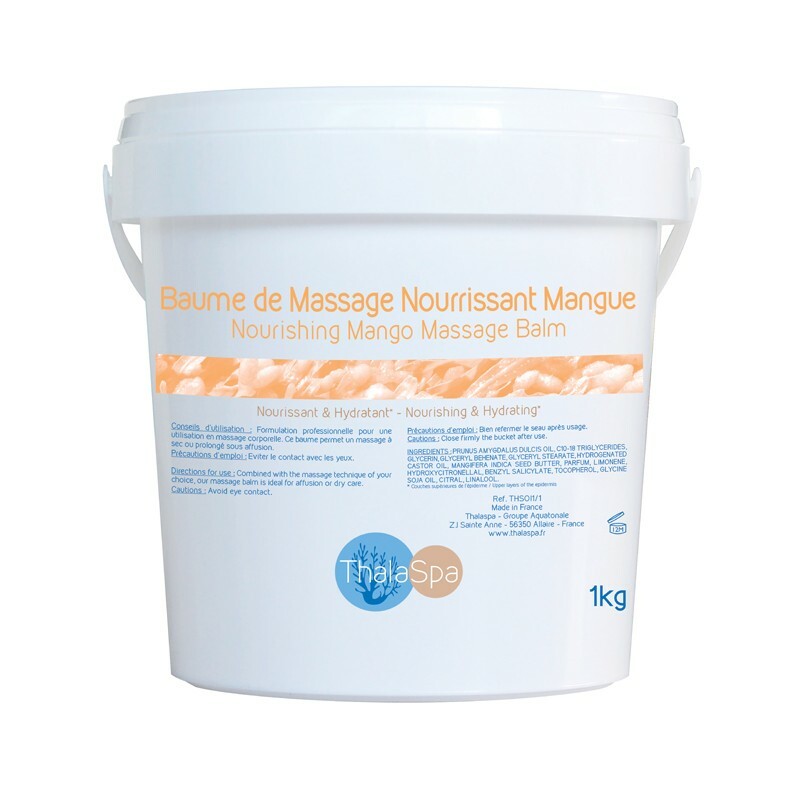 Recommended to be used in body wrap, mango restores suppleness and softness while perfuming with sweet and exotic notes. Famous example from antiquity, sweet almond oil comes from the almond tree, a fruit tree characterised by its pink and white flowers. Sweet almond oil, rich in oleic acid, has long been known for its dermatological properties. It contains vitamin D which promotes cellular repair. The sweet almond oil generously nourishes, softens and tones the skin. It is also known for helping prevent stretch marks. Emollient, it eases skin problems (eczemas, sunburn, itching, burns ...). Originally from tropical Africa, castor oil comes from the plant of the same name, the castor oil plant. If the castor grain is not for eating, the vegetable oils extracted from it has many beneficial properties for our skin. Naturally rich in fatty acids and vitamin E, the castor oil hydrates* and deeply nourishes the skin by plumping the dermis: ideal for dry skins. Castor oil, obtained by cold-pressing, is characterised by its very high viscosity (it is known as the thicker vegetable oil). Its specific fatty acid : ricinoleic acid, which made this oil a beauty care with astonishing properties, is known from the Antiquity since Cleopatra herself used to use it. care in affusion or dry. skin and massage according to the technique of your choice.